Rt7 (Root7) was initially set up to provide clients with innovative solutions using IT, web technologies and online marketing which strengthen their existing business structures and aggressively open up automated sales channels. Back in 1999 this didn’t work. 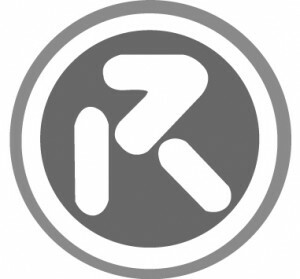 Rt7 (Root7) was launched as a web development and systems integration company in 2000, with investment and strategy from the USA. This limited liability company was split up in 2002 and at that stage an original shareholder continued alone with the name and company. The first business started under Root7 was The Water Delivery Company in 2003 (at that time known as Aquome). The Water Delivery Company is now the largest turnover unit within a group of companies that are managed by Rt7. In 2009 the original limited company was closed and Root7 became a limited liability partnership and passed over its brand name to the wholesale side of one of our businesses. Since then it has been known as Rt7. which is privately owned by the Laughton family. All the work we do is on companies we either own or have a profit related relationships. Please email contact@rt7.co for further details. Rt7 (Root7) was initially set up to provide clients with innovative solutions using IT, web technologies and online marketing which strengthen their existing business structure and aggressively open up automated sales channels. Rt7 News regarding ventures that we are involved in. For more information on any specific project that we are involved in please email contact@rt7.co.